On January 15,2019 Jasper County Deputies arrested Channing McCurdy for sale of a controlled substance. A search was conducted at McCurdy’s home and the land around his residence. During the search approximately 3 ounces of cocaine, and approximately 1 pound of marijuana were discovered along with a stolen firearm and approximately $13,100 was seized. 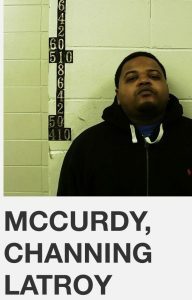 McCurdy is facing multiple charges including possession of a firearm by a convicted felon. Bond will be set by Judge Marvin Jones at a later date.